The trailer of De De Pyaar De was released on 2 April and showed a love triangle between a 50 year old man played by Ajay Devgn, his ex-wife (Tabu) and a 26-year-old girl-next-door (Rakul Preet Singh). 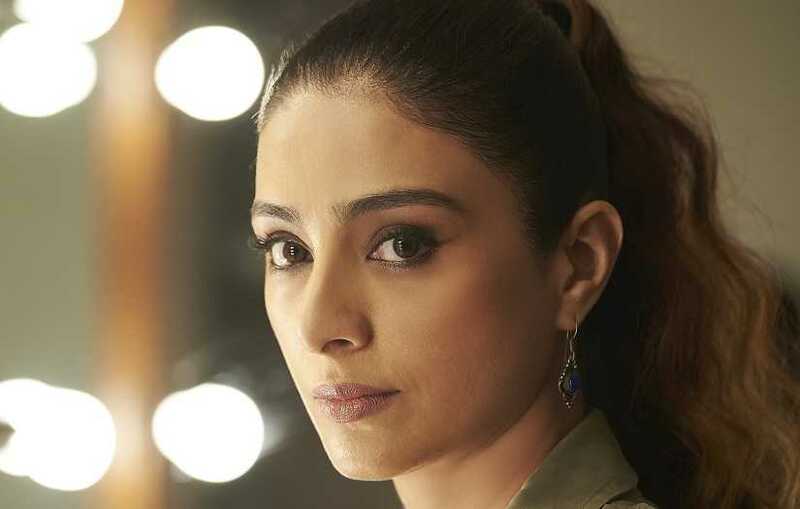 Talking about her character Manju, Tabu said (in a press release): "Everyone is loving the look of my character.We wanted Manju to appear like a woman who is strong, independent and single-handedly takes care of her children. My team and I wanted to have a very distinct approach, right from the look, to her behaviour, to the way she dresses and talks to people. We have given importance to all the minutest of nuances." She added that since the film has been shot in Manali, her stylist had a chance to play with a lot of colours. Her hairstylist also had a chance to work on a new look, which complements her character. Produced by Bhushan Kumar, Krishnan Kumar, Ankur Garg and Luv Ranjan, the film marks the directorial debut of Akiv Ali. De De Pyaar De will see Tabu and Devgn share the screen space once again after Drishyam (2015), Vijaypath (1994) and Golmaal Again (2017). The film is scheduled to release in cinemas on 17 May.